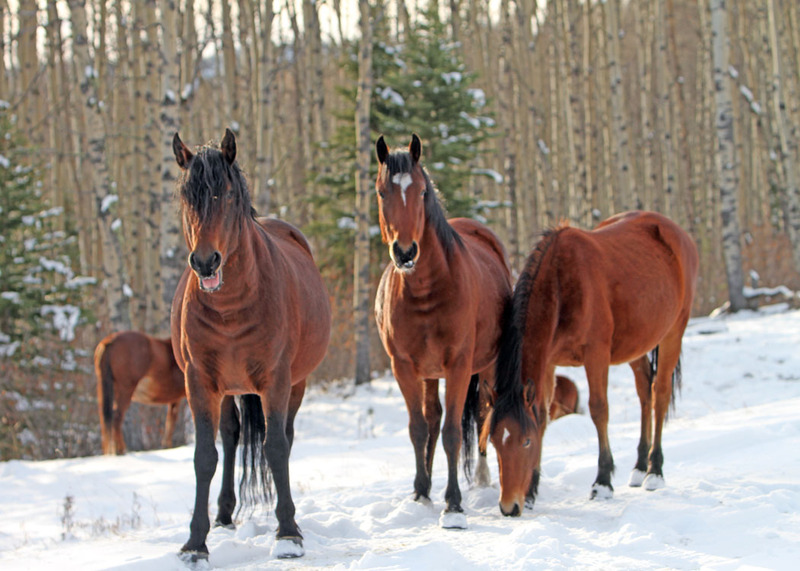 Despite the dire predictions of a harsh, cold winter, Mother Nature instead has been kinder so far to our wild horses and the other wild creatures. 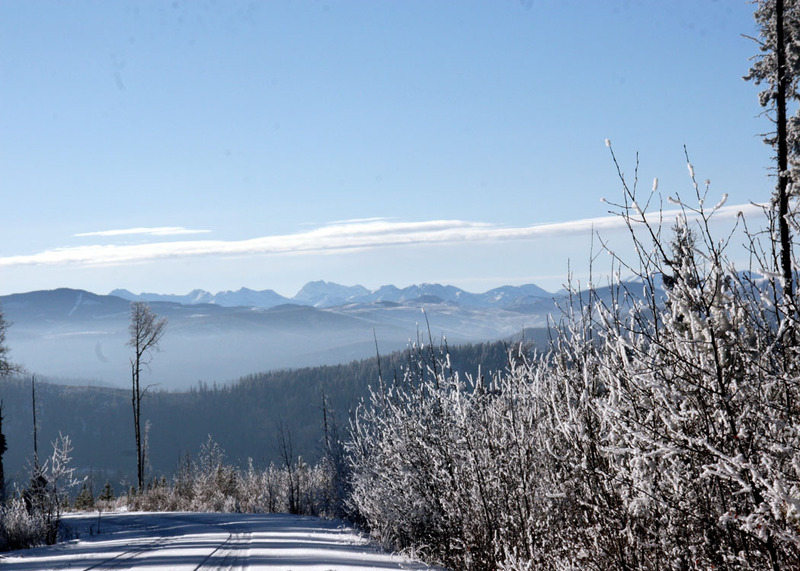 It’s near the end of January and although temperatures have been moderately cold, there has been very little snow since the first of December. In many areas that we visit, there is almost no snow under the trees and very little out in the meadows. The snow that is there is still soft and easy to paw through for forage. 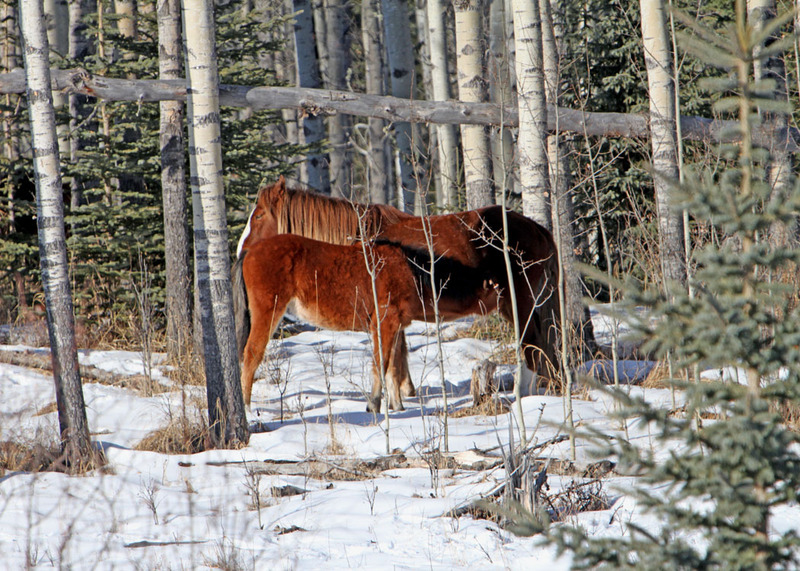 The one thing we are finding in our travels throughout the last two months is that the horses are harder to find compared to other winters due to the fact that they are able to move more freely about. All these factors are enabling the horses to maintain excellent body condition and health. Even the late born foals are thriving. The mares that are obviously pregnant are also very strong. Therefore if the spring allows it, this year’s foal crop will also have a good start in life. One of the reasons I spend so much time out with the wild horses is to observe their behaviours and habits. With this information it is hoped that facts will support our efforts to protect and save the horses. One of the fun and interesting little behaviours that I observed was the actions of a herd stallion and a couple of his troupe when they were going after road salt. Where does this road salt come from? As a result of industry vehicles travelling the main roads before going into their job sites, a lot of times the salt laid down on the roads will gather on their vehicles. When they park their vehicles the salt residue will then drop and accumulate on the ground. In the winter months, when the natural salt licks are buried, the horses and deer will go to these locations to pick up this tasty delight. Usually the action of a horse to forage or to obtain minerals is the pawing with their hooves. This is just a pull back motion and on ice this is not a very practical way to get to the salt. In this one stallion’s case, he instead would kick forward using the toe of his hoof to break up the ice and therefore reveal what he was after. The others with him, upon observing his actions, implemented this technique themselves. To me this exemplifies the wild horses’ ability to adapt and survive in their ever changing environment. 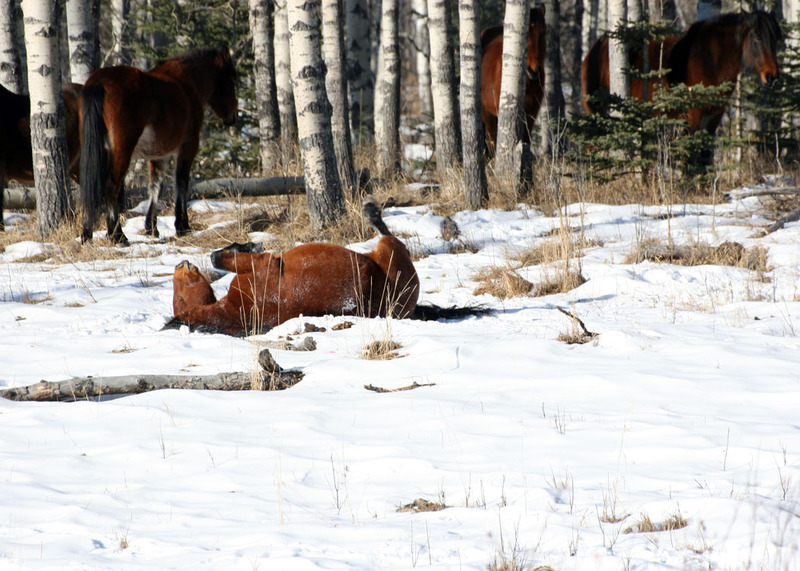 Another behaviour that all horses exemplify, but is fun to watch is the apparent joy that these beautiful animals take in rolling in the snow that cleanses their coats. No matter how often you see this, it is delightful to witness as they seem to have a smile on their lips. Also on a positive note, the Minister has not made any decision on the issuing of capture permits for this year. We hope that this is a good sign that there will be no capture season as according to the regulations the season only runs until February 28th. However, we still want to encourage you to continue to write and email the Minister voicing your objections to any capturing of our wild horses. I have noted that the spokesperson for ESRD continues to feed both the public and the media the same unscientific arguments against the wild horses. 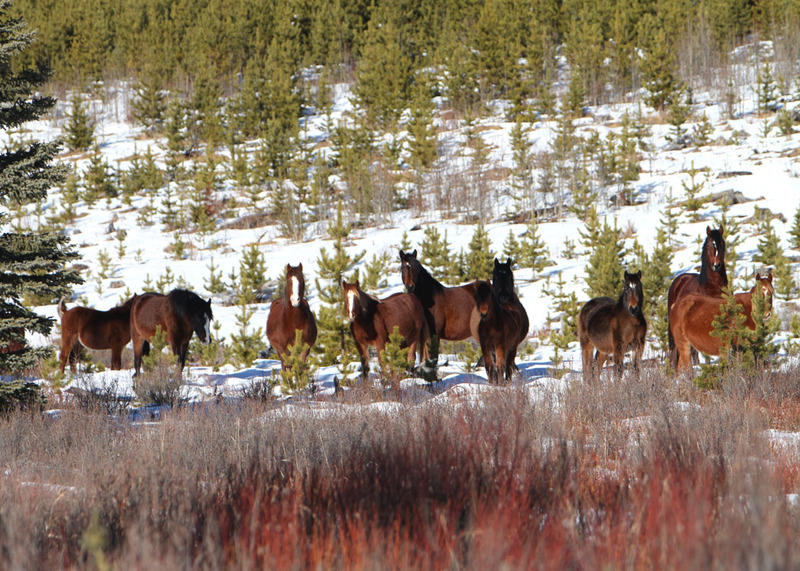 One of the things she also states over and over is that the horses are just stray or turned loose animals indicating that they have only been roaming the Eastern slopes for a short period of time. Therefore, she completely ignores the early history of our province which shows that the horses have been running free and wild since before the first incursion of the white man. 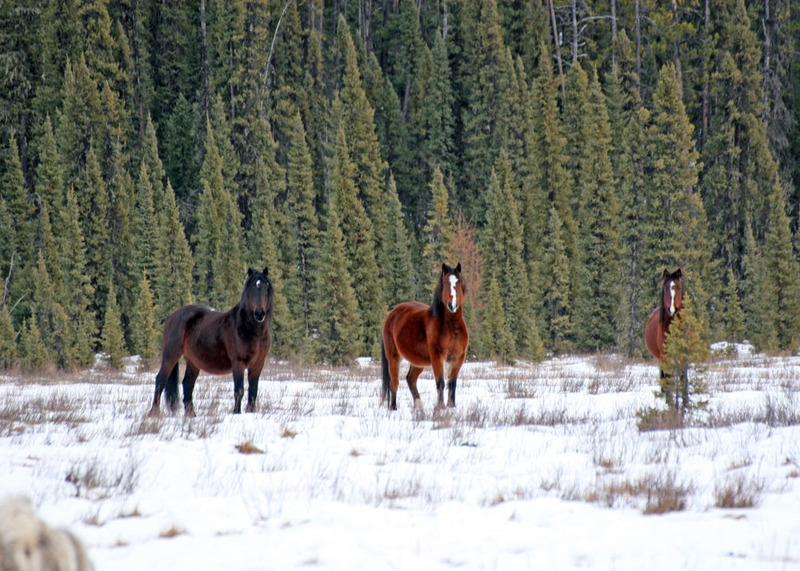 The government also fails to see the fantastic potential that the horses can represent for tourism in our province. 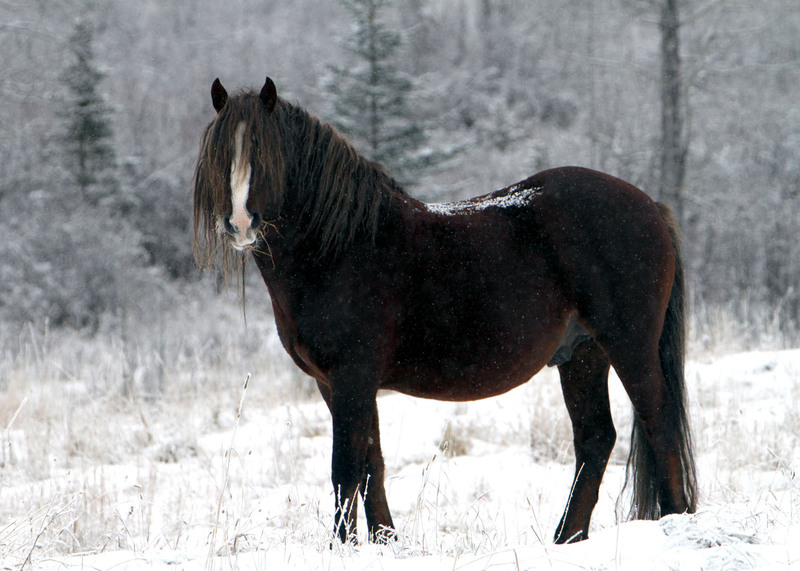 These continued attempts to malign the horses is a terrible injustice to the wild horses and to Albertans. In regards to trying to have the horses given a distinct identity, such as a “heritage species”, the ESRD and the Minister are totally unreceptive to this idea so far. I strongly believe that because of all your support for this cause, the media here in our province has taken a strong interest in it. I’ve given many television, radio and newspaper interviews outlining why the wild horses deserve this distinction. It is very reassuring that the media has seen this as a positive newsworthy story, instead of only focusing on the negative events that have affected the horses in the past. Considering the current financial woes of our government and the challenges they face, there is very little chance that our efforts to have the wild horses given this distinction will be addressed in the near future. We, however, are not going to give up and will continue to work toward this cause. One of the ways I intend on doing this, like I have stated, is to work on researching and gathering scientific information to refute the arguments used against them. This will take considerable time and effort but I am up to the task as the wild horses are my love and my passion. I want to thank everyone for your continued support.